Kathmandu, General Federations of Nepalese Trade Union (GEFONT) has contributed USD 500 to Kerala (India) Flood victims through the ITUC-AP Natural Disaster Fund. GEFONT Youth Committee President Cde. 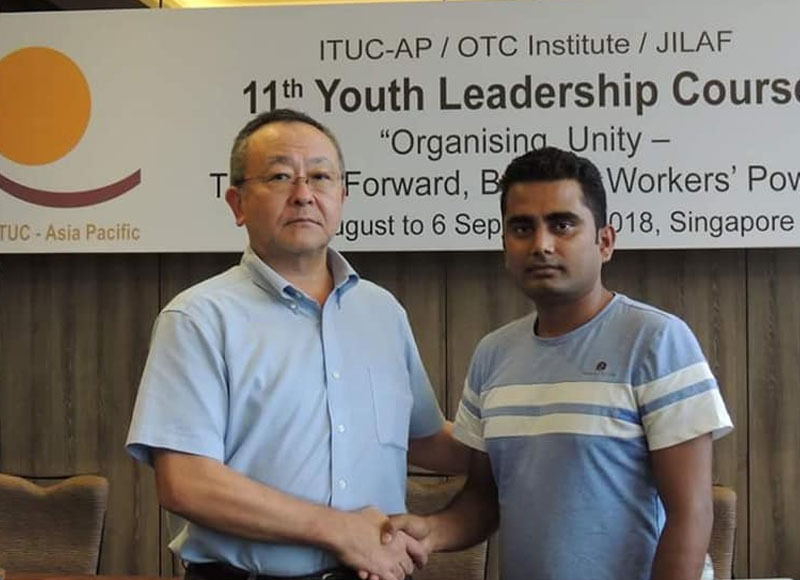 Santosh Pudasaini handed over the amount to the Secretary General of ITUC AP Brother Shoya Yoshida during the program in Singapore.